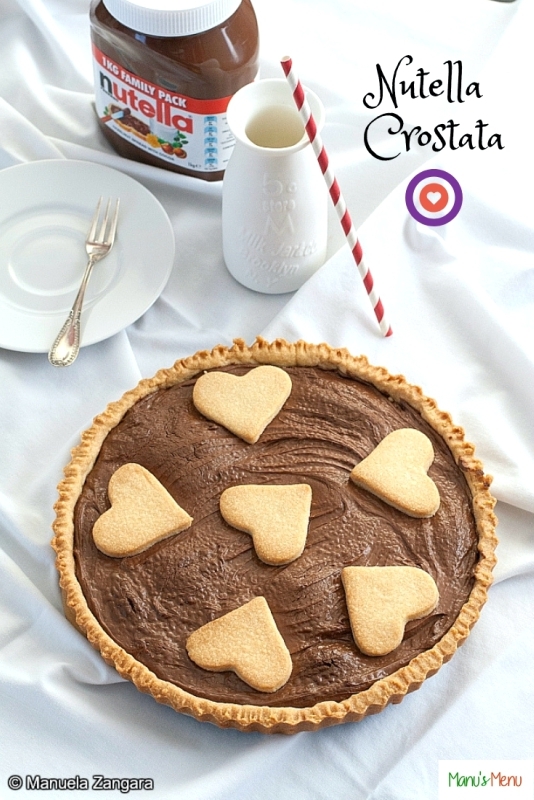 Crostata has always been my favourite cake. As a child, I would always ask my mother to bake an Apple Crostata for my birthday. 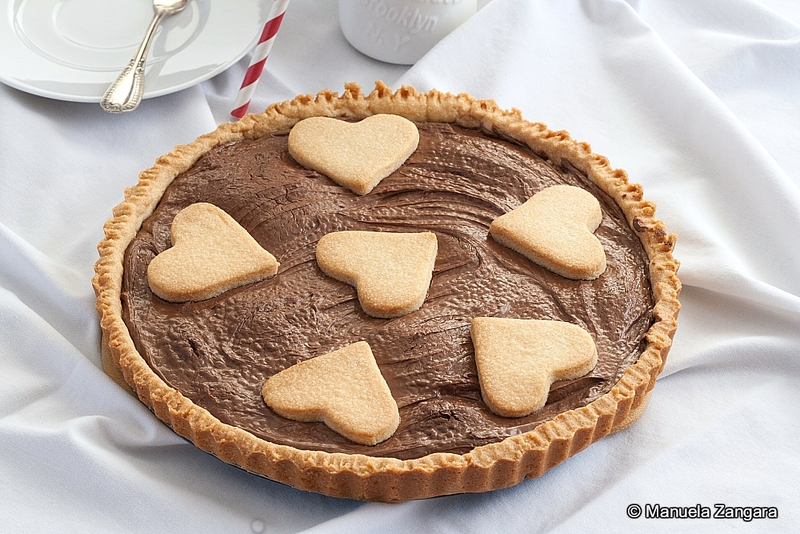 Today, I still bake it quite often my my children, and this Nutella Crostata is their absolute favourite. After all, who can blame them?? It’s like eating shortbread topped with delicious chocolate and hazelnut spread. This is what childhood should taste like, really. What I like even more as a mother is the fact that this is a cake that you can whip up in less than 1 hour from the beginning to the end. It is very quick to make and it also really easy. Your kids could help you out, or even make it completely on their own. In fact, this is the first dough I learnt how to make as a child. It is a very forgiving pastry. 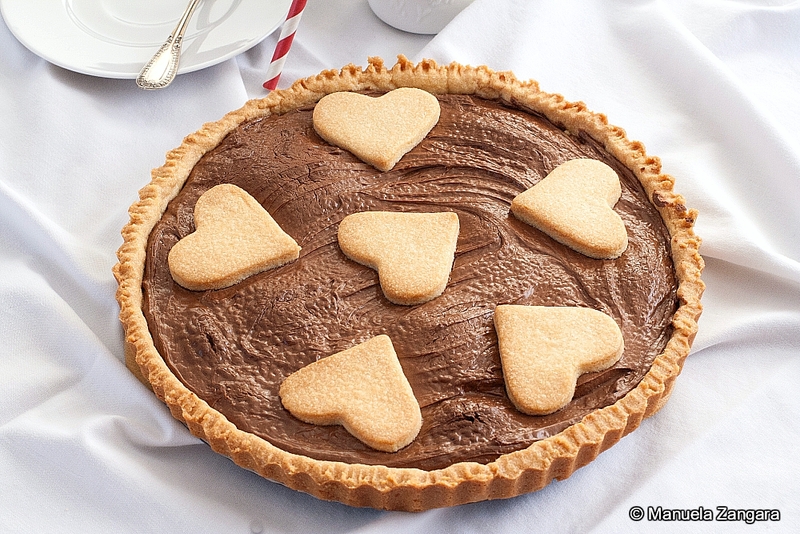 To fill it, you can use store bought Nutella, or make your own using this recipe. 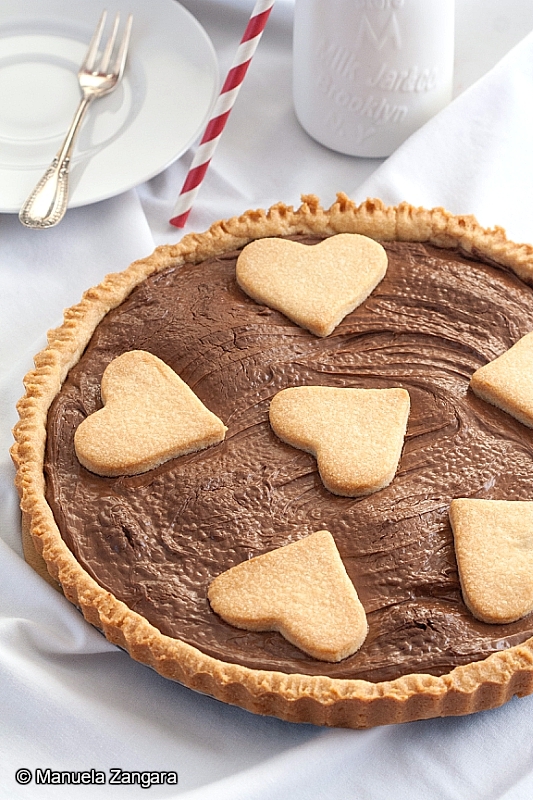 Either way, if you like chocolate, you will love this tart. Enjoy and don’t forget to check out my video recipe and to leave a comment to let me know how you like it, or to tell me what your favourite tart is! 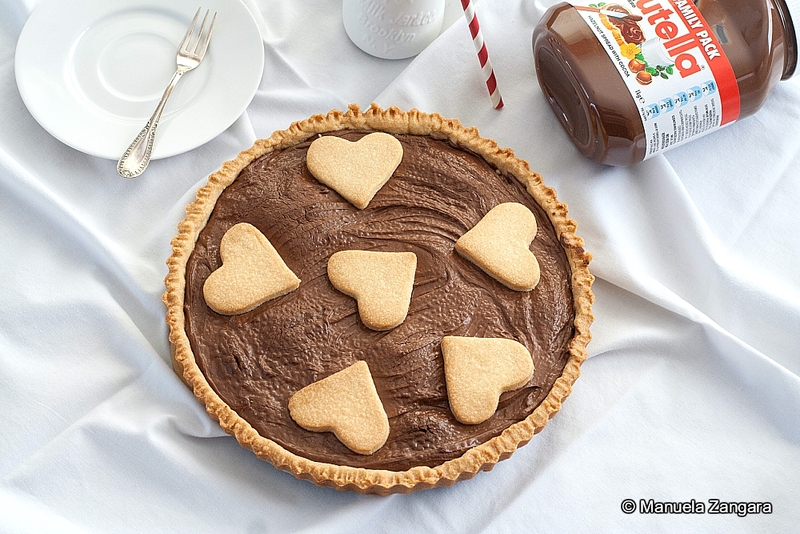 Nutella Crostata – the recipe for a scrumptious Nutella Crostata, made in the traditional Italian way. Knead the flour together with the sugar, butter, egg and salt until obtaining a smooth dough. Make it into a ball and flatten it. Wrap it with some cling wrap and put it in the fridge for 30 minutes. Cut a circle of approximately the same size as your tart tin and put the dough in the greased tin. Press it down well and make sure you have dough at the side as well. 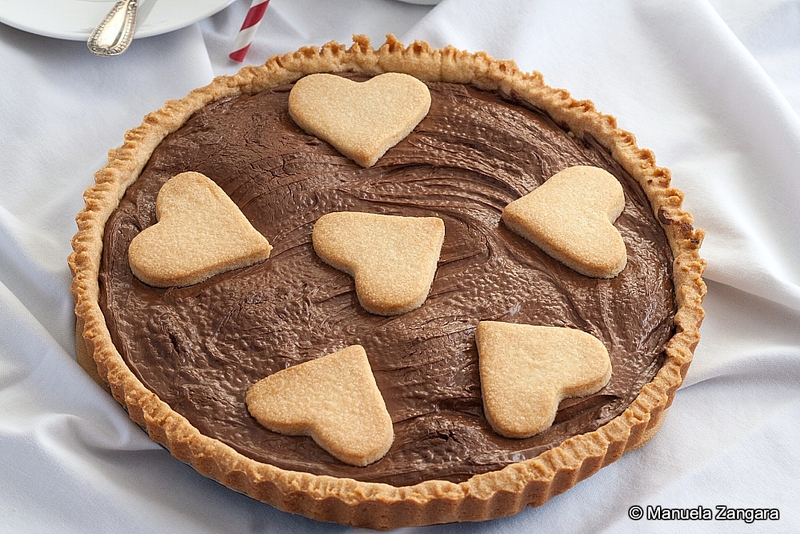 Fill the tart with Nutella (about ½ cm – 0.2 inch of filling should suffice). If you have any leftover dough, use it to decorate the top of the crostata. You can make a lattice work on it or simple shapes with a cookie cutter. Bake in a pre-heated oven at 180°C – 355°F for about 40 minutes, or until golden brown and cooked through. Let the tart cool down completely before un-moulding and serving it. I know a lot of children – and adults – who would love a slice of this. My oh my ! Tornero !